"All these curses will come upon you, until you are destroyed, because you will not have listened to the voice of Hashem, your G-d, to observe His commandments and His decrees that He commanded you. They will be in you as a sign and as a wonder and in your offspring, forever..."
Why is that? 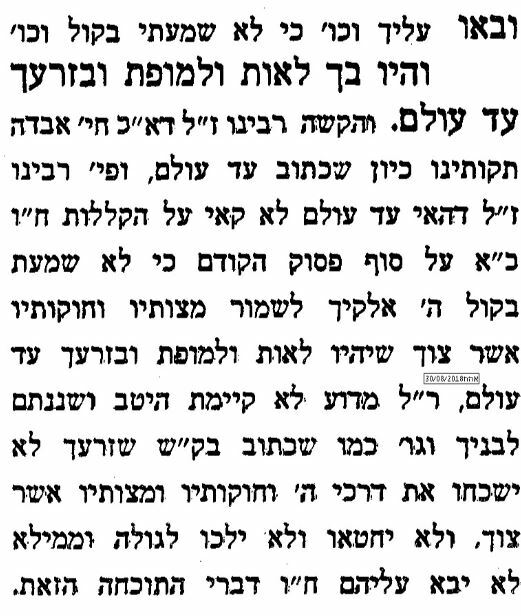 The Maharal Diskin says that this is the next posuk, “Because you did not serve Hashem, your G-d, with gladness and with goodness of heart..."
Does anyone know where Maharal Diskin's insight can be found? Not the answer you're looking for? Browse other questions tagged sources-mekorot product-recommendation jewish-books commentaries .